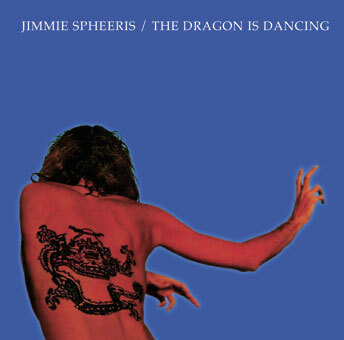 "For the dreamers and clowns of Earth"
For many fans and friends, this LP marks a paradigm shift in Jimmie's work. Produced by the legendary Henry Lewy (who produced lots of great music, including most of Joni Mitchell's classic work), you'll find songs and production values here that might have been recorded today. Through many styles and moods, this album remains light years ahead of its time. The album was finally reissued on CD in 1999 but is no longer available. Listen to a radio interview with Jimmie and Johnny Pierce from KOFM in 1975.
electric piano and mini-moog on "The Dragon Is Dancing"
piano on "Love's In Vain"
acoustic guitar on "Sighs In A Shell"
Arp and piano on "Eternity Spin," "Blown Out" and "In The Misty Woods"
backing vocals on "In The Misty Woods"
(C) (P) 1975, 1998 Sony Music Entertainment Inc.
now won't you let him? Paul Delph, producer of Jimmie's final album, has an amazing cover version of this song. Visit THE PAUL DELPH MEMORIAL PAGES to hear it. reality or fantasy; who really knows?